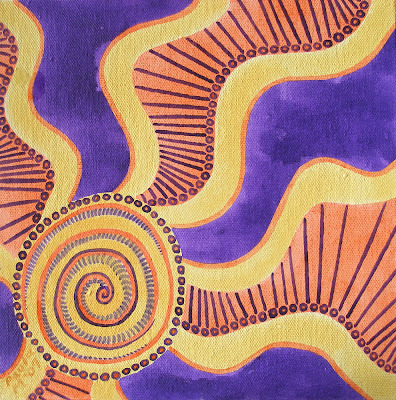 Working on a new painting this week. Started it last week but haven’t had time for a blog yet! I’ve been helping out a little here and there with the new grand baby, family has always been most important to me! I’m always happy to get back to the studio though. 🙂 I’ve been filming a time lapse of this painting in progress, you can see sections of the video on my Instagram. I’ve been thinking about painting large again, only REALLY large, like wall/mural size. Signs seem to keep pointing me in that direction anyway. I was recently sent a link for a local public art project. 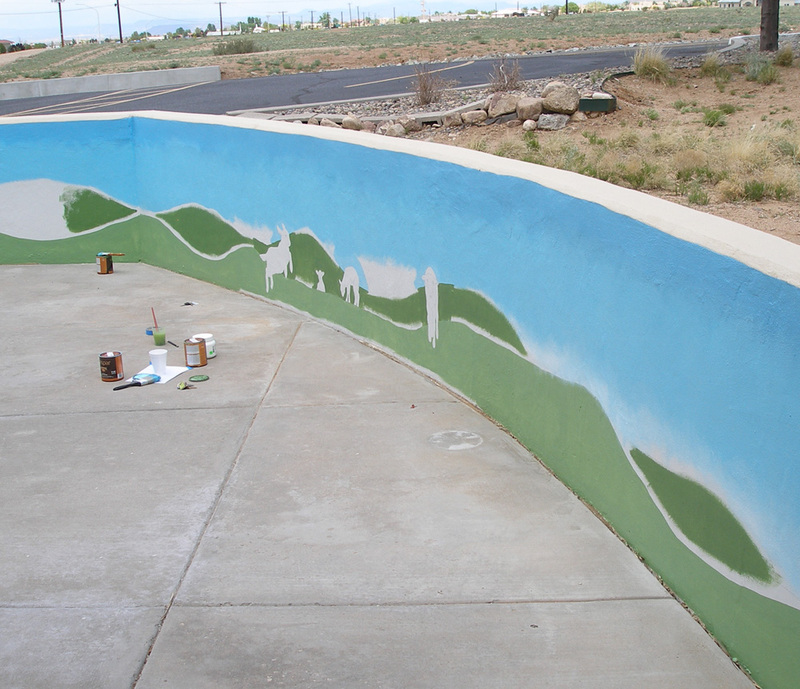 The project is a huge mural wall and while I would love to submit for the job, I don’t have the portfolio of work to show to get a job like that. 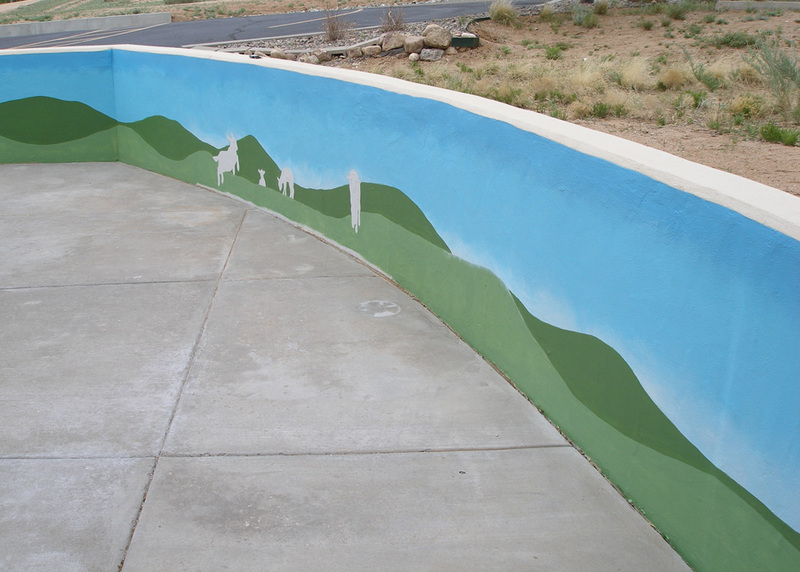 It came to me during my morning meditation that I should look for some mural jobs I could do to add to my portfolio. 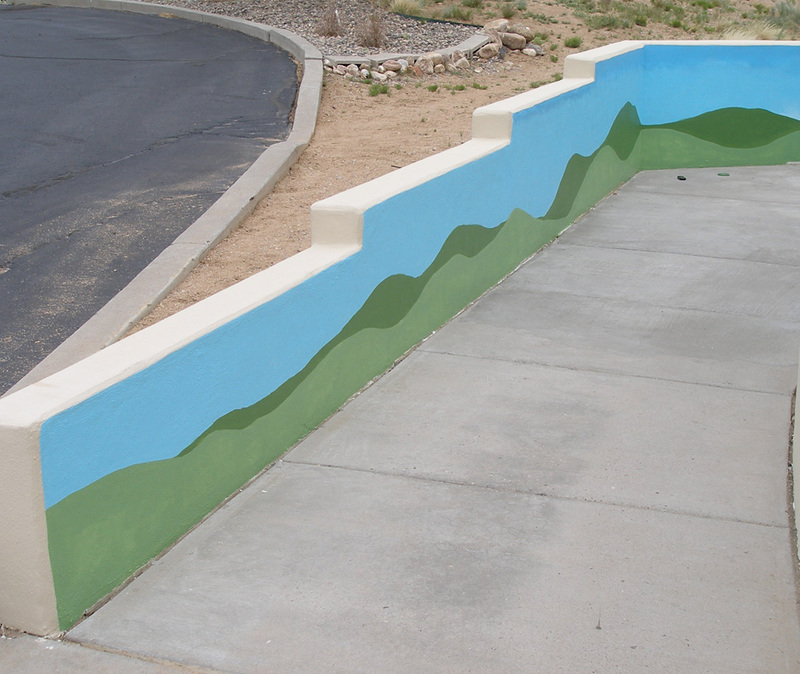 I did a mural years ago at a local church, not exactly what I would usually paint, but it was good experience and taught me a lot about painting on walls outside! 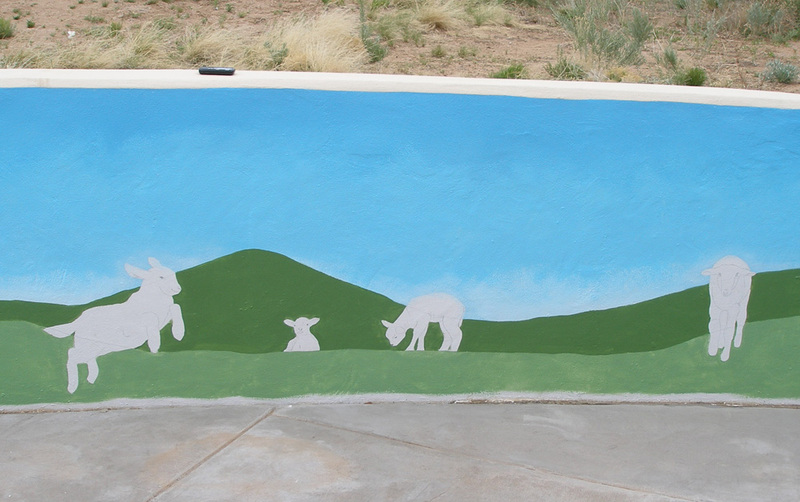 What I’ve decided to do is offer to paint a mural for anyone locally who has a wall they want painted. For the cost of materials only. I will not charge labor for the first couple I do. I already have one possibly lined up, so I’m looking for one more wall in need of a mural. Please get in touch with me if you are interested. 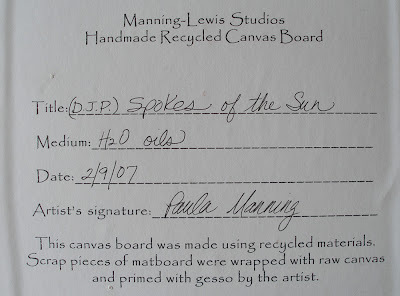 You can email me at plewis11@comcast.net, or send me a facebook message on my facebook art page. The background is all complete now! Our day was shortened again today by wind and clouds and possible rain. We did get quite a lot of progress today however. Tomorrow, weather permitting, we will work on the details, painting in the lambs, grass, flowers, tree, plus we are now adding Jesus to watch over the flock. He will sit on a back hill looking towards the lambs. The preschool director came to me yesterday afternoon and asked if it was possible to add him in, so of course, we are happy to oblige. 🙂 Here are today’s progress photos. Sign is now 100% complete! More progress on the hills and sky is done! Done for the day, tomorrow it's on to the detail work! The past couple of days have been so amazing! Temps in the high 60s, sunshine! Finally coming out of that “last days of winter” funk! Being reminded of why I love living in central New Mexico. We have 4 seasons that pretty much stick to the days on the calendar. Winters are usually pretty mild and short with plenty of sunny, warm days thrown in. So, needless to say, I have spent the last couple of days outside as much as possible! Walking the dogs, hanging out in the back with the chickens, riding the bus/walking around town running errands. So, though it’s been fun, it’s time to get back in the studio and get some work done. I found out on Monday that my bid was accepted for a mural project. 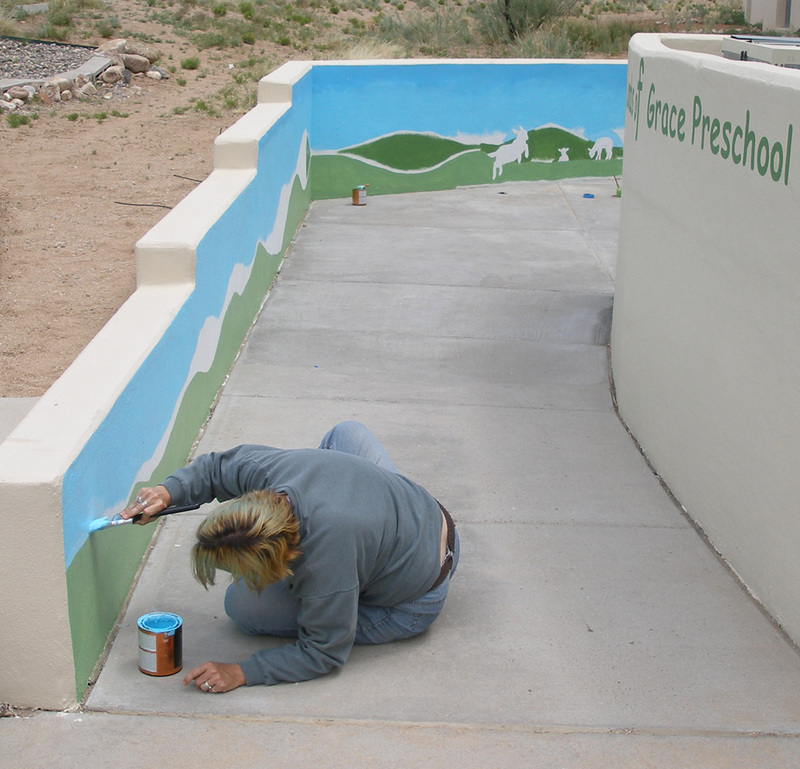 The mural is for a church preschool and will be my first mural ever! I’m so excited, cannot wait to get started on it! Below is a rough sketch of the idea. 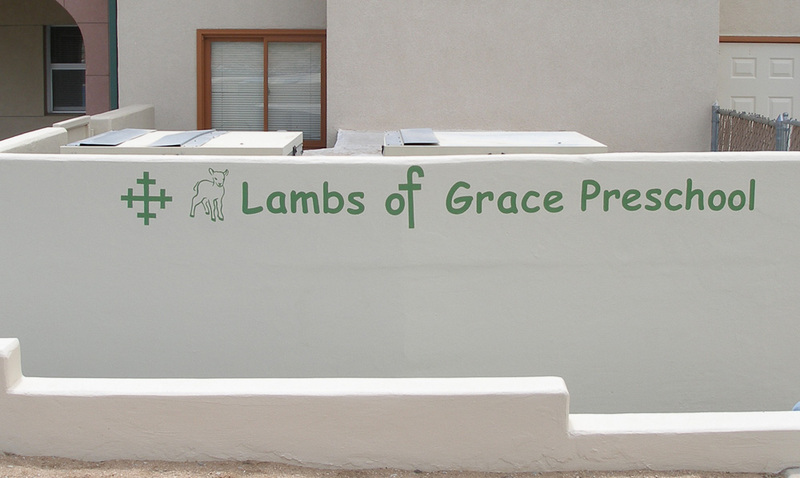 The preschool is called “Lambs of Grace” and hence the lambs in the meadow. 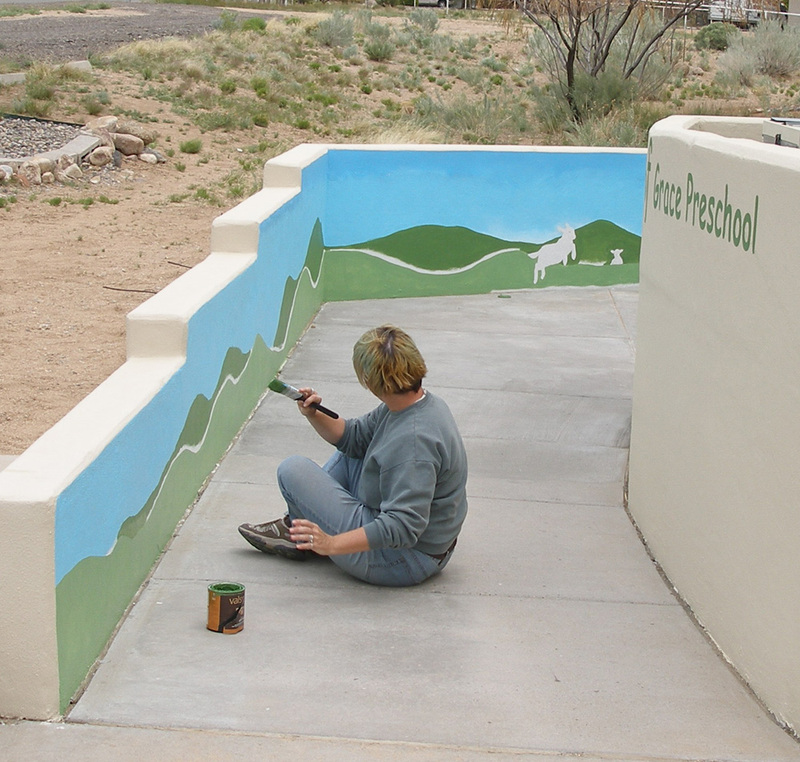 Work will begin on the mural as soon as it’s warm enough to paint outside, so hopefully very soon! 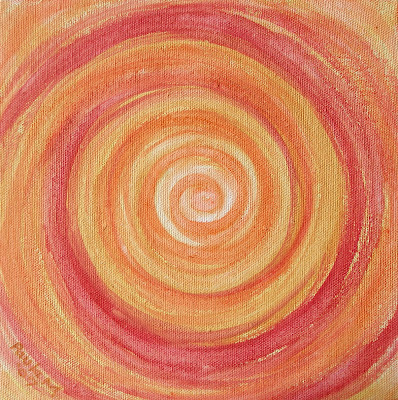 Today began another weekly art auction, as always starting bid is $9.99. In celebration of Spring, this week’s painting is one that I painted during a cold front at the beginning of December, “Cold Blows In”. Today is the first day I’ve painted since our furnace died. So, I dove right in and painted two daily size paintings. These are both 8 x 8 inches, H2O Oils on recycled, handmade canvas board. I made the boards using scrap matboard, raw canvas and gesso. I also made custom backing paper for them! I started out with 12 boards for now. That gives me a couple weeks without having to make more, unless I paint two a day! I also have a 10 inch square canvas prepared and ready to paint! Time is getting short for my show in March, so I’m trying to finish as many as possible. 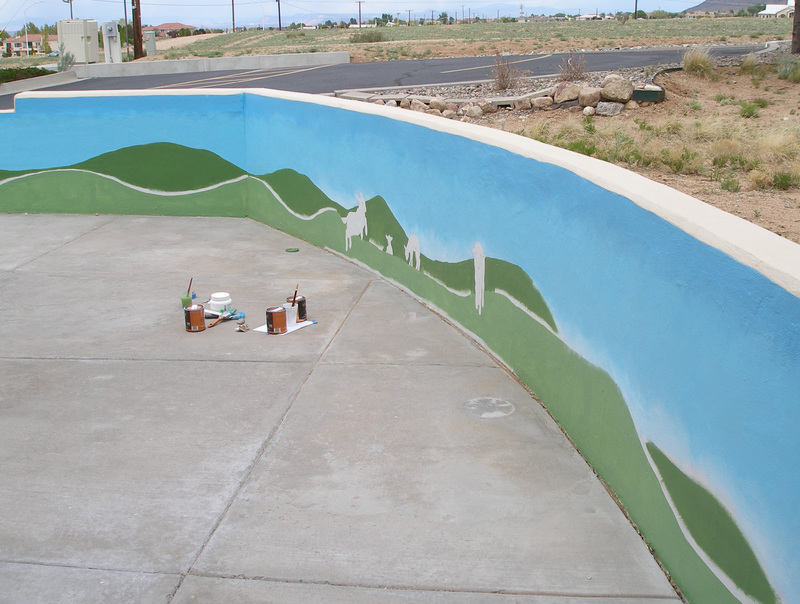 Today I’m going to a meeting at my community center about a proposed mural on a wall that overlooks the neighborhood park and the city of Albuquerque. The neighborhood association asked me to be on the committee and help with the process. I’m excited but at the same time a little unsure as there will be a lot of city politics involved I’m sure. I would like to involve the high school art students and any other neighborhood kids that are interested. I think it will happen as this is supposed to be a community project because of the funding being used. We shall see!